Hello Brainiacs, new and old. 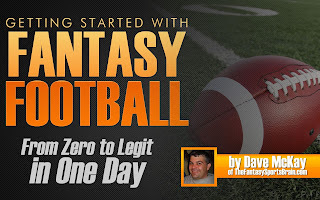 Thank you for joining me for the official launch of my new book: "Getting Started with Fantasy Football: From Zero to Legit in One Day." This post will tell you everything you need to know about launch day. STEP ONE: Buy the book. $2.99 for the Kindle version (you don't have to have a Kindle device) or $4.99 for the printed hard copy. Click HERE! Get the Brain's 2013 Rankings... This is the only way to get it! That's it... easy as that. It's $16 value for $2.99. Thank you so much for being a part of launch day! We're happy to have you here at the Brain! Thank you!